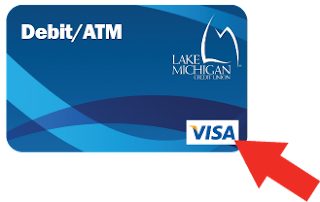 Lake Michigan Credit Union is making a change to its debit cards that may affect you. All LMCU debit cards are currently hosted by MasterCard. Over the coming months, we will be making the switch to VISA as our new financial carrier. If you have a debit card with LMCU, you will be issued a new LMCU VISA debit card within the next few months. This change applies to all LMCU accounts where debit cards have been issued: Checking, HSA, Paycard, Business and Premier. We will begin the reissue process beginning January 2017, based on current card expiration dates. Those expiring the soonest will be replaced first. The reissue process will be completed March 1, 2017. Current MasterCard Debit Cards will continue to work until April 3, 2017. LMCU is making this change because VISA gives us better service, better processing solutions and is more widely accepted. Additionally, this adds to our ability to maintain a 3% APY return on Max Checking accounts and to continue to add value to our many financial services.